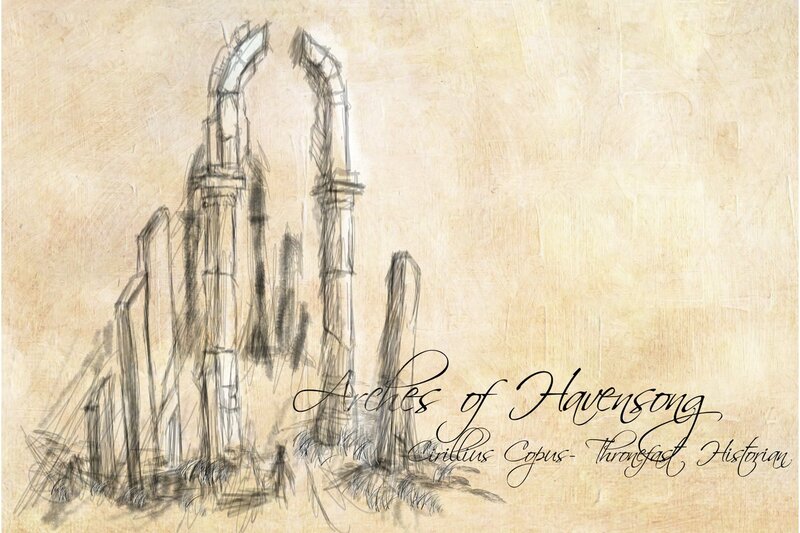 But his first act was to construct two arches from the dredged wreckage of Havensong. One signifying Death, the other Life, it is said that to approach the people of Thronefast as a friend, you must share in the trial of their past, in form at least. (Though I must reveal I have an entire volume of accounts from those who say they have felt the very sting of death and the pain of a "birth" as they passed unsuspecting through this homage to the Human travail). Other lore: Havensong was the first human settlement on Terminus, the site of King Amensol's death, and wiped off the face of terminus by the human god of rage, Ossari. Now, I view their presence inside Thronefast as sacrilege. I know I shouldn't because this isn't even pre alpha yet, but I can't wrap my head around their presence inside the city. The reason I am so shocked is based on the concept art as well as an in-game(?) rendering. It appears that both may have been scrapped and its location flat out moved. Why would such a powerful landmark, denoting the death of King Amensol's city, and the death of King Amensol himself, not be used as a marker, an anchor to the human past, and a tombstone of remembrance to Avendyr's father? 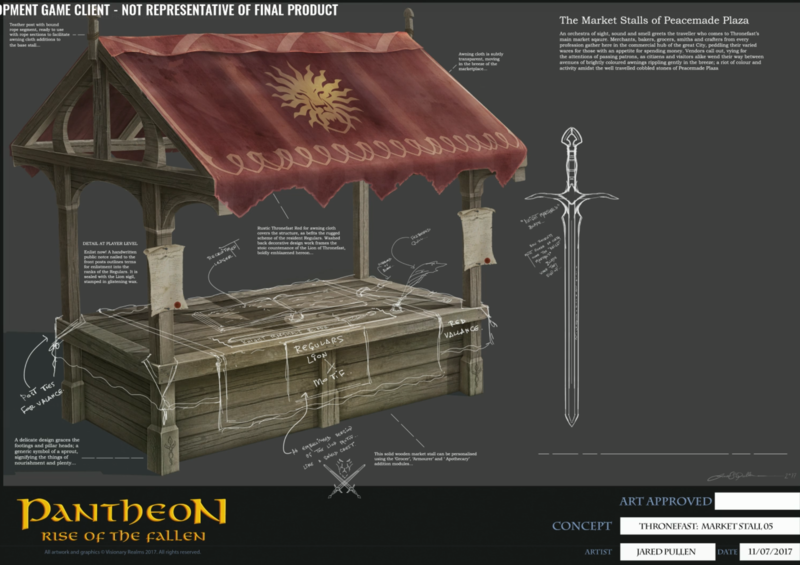 Side note: If you compare the architecture to some renderings from the stream, you see the similar pillar/half arch has persisted into things like the market stalls. Interesting observation, I look forward to seeing how the different pieces of the puzzle add up. It's entirely possible the lore may have been switched up some or that there could be some interesting curveballs thrown our way that nobody is expecting. It's my understanding that the lore for this game is incredibly more deep than we know right now and that things are going to get really exciting down the road. it probably is as simple as the lore evolved. I read someone else talking about the original screenshots of Thronefast had more gothic architecture too. Maybe was just time to kill the placeholder models.